DAVAO CITY (MindaNews / 14 Dec) – It has reached its 12th year of existence and there are clear signs that Mindanao’s major film festival that takes place usually around the last quarter of the year is on its way towards an adolescent stage – with a great promise of reaching maturity if at this stage it manages to be adequately nurtured by its stakeholders. 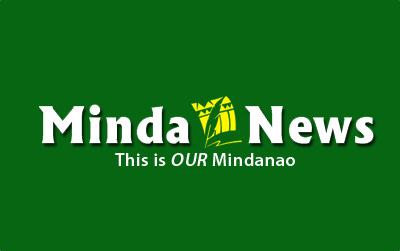 At the 12th Mindanao (independent) Film Festival, two major award-winning Mindanawon feature films were presented, namely, Bagane Fiola et al.’s Baboy Halas (Wailings in the Forest) and Sheron Dayoc’s The Crescent Rising. And true to its name, this was really a festival, i.e., a big number of films were shown, albeit mainly short films. During the whole week of December 7 to 13, 2016, Davao City residents were treated to a long list of 59 short films, in the following categories: Filmathon, family-oriented, those from the Navifilmex (mostly from the Nabunturan film group), the Bahaghari (LGBT), student life, Cine-Real docus, friendship and love stories. Aubrey Llamas’sA Fading Heritage (Iligan City): The film dealt with a community of Lumad (Higaonon) in Limonsudan, in a remote upland community in Iligan City. The filmmaker makes herself present within through her voice interviewing her subjects with mixed results, not usually pleasing to the viewer. She tries to capture the residue of a culture impacted with both cultural and social changes and laments the erosion of such culture but lacking a sensitive anthropological understanding of how the Lumads cope with such changes. Jeffrie Po’sThe Soil of Dreams(Cagayan de Oro City): A film about the hard life among young men who earn a living by going up and down a major river of the city collecting sand that they can then sell to a construction company. The young men with whom the filmmaker engages are an earnest lot without any self-consciousness that would have prevented a glimpse into the dreams of young men with limited options in life. The film could have tapped into the river’s images as a metaphor of the flow of life but failed to do so thus not giving the film a chance to move its audience. Arbi Barbarona’s Pagbarug Ta Pagtuon (Davao City): The filmmaker has already been involved in a number of films – both features and documentaries – and thus shows a confidence in the handling of the technical aspects of filmmaking. He journeys with the Lumads of Davao del Norte and Surigao del Sur whose communities were militarized thus disrupting the Lumads’ lives including the running of their schools. The film celebrates the heroism of a young teacher – a Lumad himself – who sticks it out with the schoolchildren no matter what, accompanying them from their village to the evacuation center in the city. The film succeeds in conscientizing the viewer as to the plight of the Mindanawon Lumads who have been victimized by the State’s military machinery interested more to protect corporate interests and vanquish the NPAs at the expense of the lives and future of the Lumad people of this part of Mindanao. The short film could easily be extended into a full documentary and the filmmaker indicated his desire to move in this direction which hopefully he will accomplish in the near future, as the film’s story continues to unfold as thebakwitshave not been able to return home. Teng Mangansakan’sUnder a Canopy of Light(Maguindanao): It is the best short film in this cluster as it stands out for its poetics and artistic excellence. This comes as no surprise as Mangansakan is one of the fast rising recognized film auteurs among Mindanawon independent filmmakers. This is truly a very personal film – an autobiographical one – as the filmmaker journeys home to where he spent his childhood in a small town in Maguindanao and revisits the treasured spots that now haunt him given its tragic memories. It gives us a glimpse of what the Mangansakan clan went through as the Mindanao conflict arose and wrecked havoc on the lives of innocent people. It thus provides a glimpse into the impact of the wars that have bedeviled the Moro population of Mindanao. Mangansakan succeeds in involving his viewers through an excellent convergence of filmic devices from the use of shadows (as in appropriating the Balinese puppetry) to staging theatrical improvisations. The film pierces the Mindanawon heart dreaming of peace where – once more – ordinary people can enjoy the shades under the canopy of acacia trees standing firm and strong by a lake. Keith Kristoffer Bacongco et al.’sPanicupan(Davao City): As the film as framed as basically an educational video, it provides information regarding the efforts of those in Pikit to promote spaces of peace in the midst of the intermittent war that have made life miserable for both the lives of the Moro people and the settlers. As there have been so much information shared on the Pikit experience in film and print, it was the challenge for the filmmakers to show an angle that has not been explored. As the filmmakers failed to do so, this film had nothing new to share. And limited by its style, it is strong on sharing data but not in moving hearts. I must say that I expected a lot from Baboy Halas (Wailings of the Forest) as it had earlier won the Netpac Jury Prize at the 2016 QCinema International Film Festival and was also given an award for Artistic Contribution in terms of its cinematography. This Oya Films Production dealing with the life and culture of the Lumads of Maharlika in barangays Damay and Tabontabon in Marilog District of Davao City was made by a collective including Bagane Fiola, Bem de Lera, Janna Moya, Joel Geolame, Mark Lumbaga, Raphael Meting and Willie Apa Jr. There is no question that this film collective made an awesome film and truly it deserves the special price in terms of cinematography. As the viewer sits and allows oneself to be affected by the images on the screen, the viewer does wonder how the filmmakers were able to shoot the footages of this film and edit it in a manner that is truly impressive. The first few minutes showing a Lumad following the trail of a wild pig with the aid of his dog through the difficult terrain of a virgin forest is quite a sight! One’s attention is immediately focused with this opening scene. Alas the film’s momentum is not sustained through the end. It is easy to see why this film, which could have reached a very high level of artistic achievement, failed to deliver its earlier promise. There are actually two storylines in the film but which in the end do not connect with each other. The first one explores a possibility of dealing with a Lumad narrative from the lens of magic realism. This is the story of a Lumad with two wives and a daughter who regularly goes out to the forest to catch wild boars, mainly to provide his family with food. This is the more powerful story as it dwells into myth and brings a powerful message for human beings unable to live in harmony with nature. The other story involves the entire community as it deals with the consequences when a man steals the wife of another, necessitating a conflict resolution ritual. The filmmaker uses the lens of a traditional documentary film, except that this is not documentary but a feature film. The Lumads who are in the cast of the film are “directed” to act in front of the camera. While the filmmakers manage to get them to adequately play their roles, nonetheless the viewer cannot help but think that there are gaps in projecting the authenticity of the actors’ emotions. But in fairness, the cast did their best and especially those who constitute the nuclear family showed at how talented they are in terms of being film actors. But the two stories do not converge, even as both set of actors inter-act in a few scenes. The two parts of the film are just so unlike each other and it would have taken a tremendous gift on the part of the filmmakers to find a magical convergence between the two parts. Perhaps, it is not fair to expect them to reach this level at this early stage of their filmmaking career. Still, this is a powerful film and should be seen and one hopes the film will have more showing in schools and cinemas so that more people can watch it. For its cinematography alone, this film is commendable. One looks forward to the next film that this collective hopefully will be able to put together in the near future. Perhaps in the 13th Mindanao film festival next year! P.S. There is a separate review of The Crescent Rising.